Brite-Strike’s Roto-Loc Articulating Tactical Holster answers the need for the officer who desires a holster which can be positioned at various angles to facilitate the draw or greater comfort. The positive ratchet allows the user to position the holster at any angle desired through a full 360 degrees and have it stay there. This proven method has been used with baton scabbards for years and is now available for the Basic Tactical Lights. 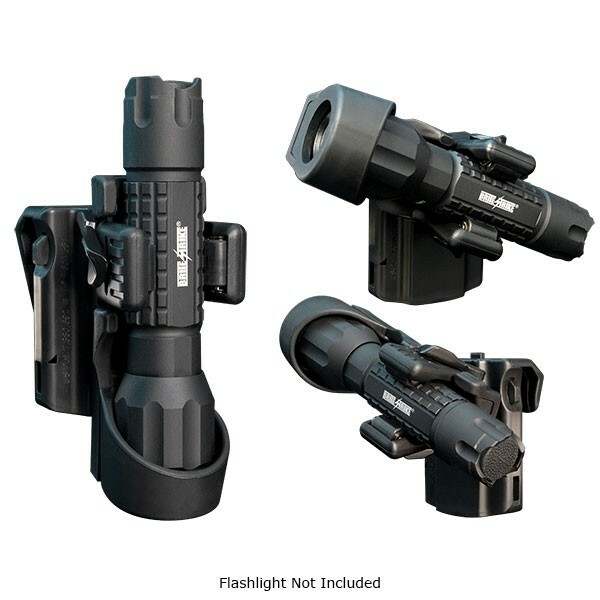 To use the light in a hands free mode, place the light back in the Roto-Loc holster, set the precise angle to aim the beam in the desired direction.